Overwatch has combined the genres of FPS and MOBA in a seamless way, with characters that are both diverse and memorable. For nearly the last 20 years, Blizzard Entertainment has relied on the Warcraft, Starcraft, and Diablo trinity to entertain fans and generate revenue — and who could blame them? From Warcraft spawned the perennial best seller World of Warcraft, and lore infused Warcraft trading card game Hearthstone. Their latest fully released game Heroes of the Storm also draws from that trinity, clashing heroes from all three game worlds against each other in a multiplayer online battle arena. While Hearthstone and Heroes of the Storm branched out from their core list of games genre-wise, their legitimacy was safely backed with successful content from Blizzard’s big three titles. Now that Blizzard is breaking away from the holy grail and developing an entirely new game world in an entirely new genre (First Person Shooter), it wouldn’t be an understatement to say that everyone is watching. First Impressions: Feels good, man. 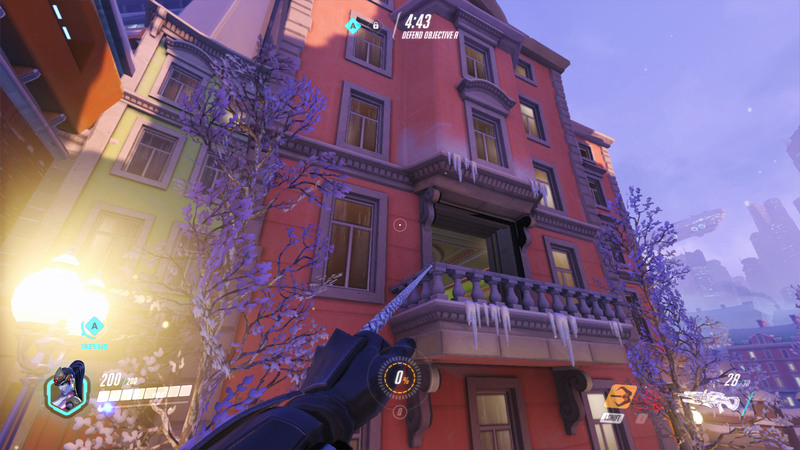 For a company who is new to the genre, Overwatch feels like the efforts of an experienced FPS team who know exactly what they are doing. The aiming and shooting are both tight and responsive, and the game just feels solid. If you’re wondering what engine Overwatch runs on, it is actually powered by Blizzard’s own proprietary engine, and it feels fantastic. 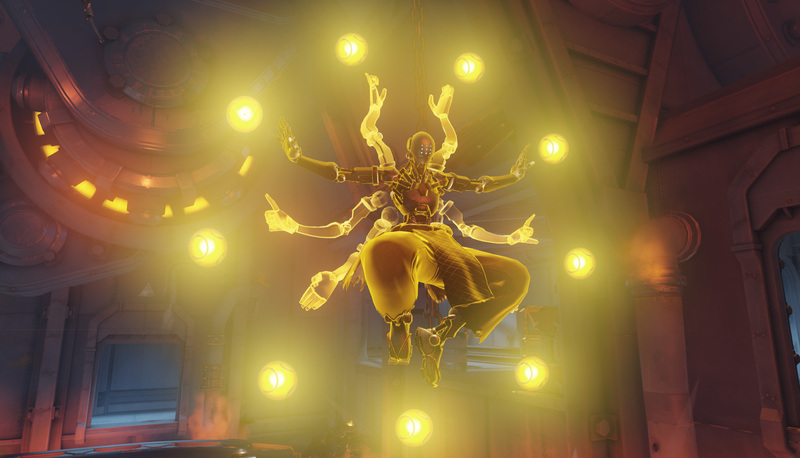 It’s in this “feeling” that Overwatch begins to come into its own. Each character feels dynamically different, not only with their individualized skill sets and weapons, but most particularly in the way they move about the map. 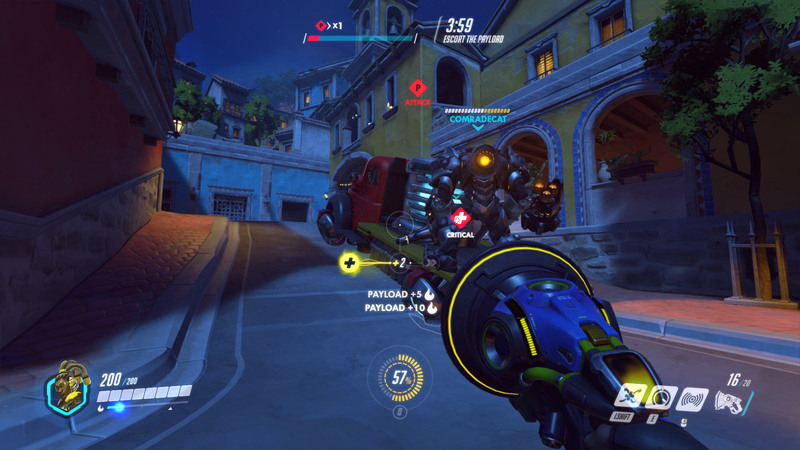 Reinhardt the tank plods along with big heavy footsteps, while Zenyatta, well, he doesn’t even touch the ground at all and silently floats around in his zen-like trance. Most characters also have some sort of secondary movement mechanic that allow them to quickly traverse obstacles around the map. From grappling hooks and wall running, to flying in the air with jet packs and short distance time traveling, characters can appear from just about anywhere if you aren’t vigilant enough. The action is always moving at a frenetic pace, but it is a beautifully controlled chaos. Who put the MOBA in my FPS? As far as comparisons go, the general consensus is that the game is similar to Team Fortress 2 because of the ability to choose from different classes, but that comparison is superficial at best. 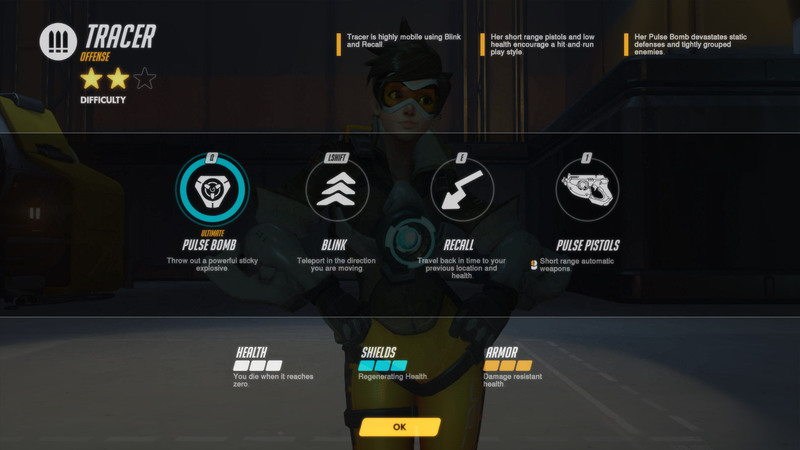 A more telling description of Overwatch would be that it feels like a FPS injected with every fun element from a Multiplayer Online Battle Arena (MOBA) game. Each character has a signature weapon, as well as additional battle abilities that have their own separate cool-downs, and an ultimate ability. Like MOBA games, team compositions and hero synergies are definitely a thing, and using your ultimate at a timely juncture in a team-fight can be the difference between winning and losing a match. 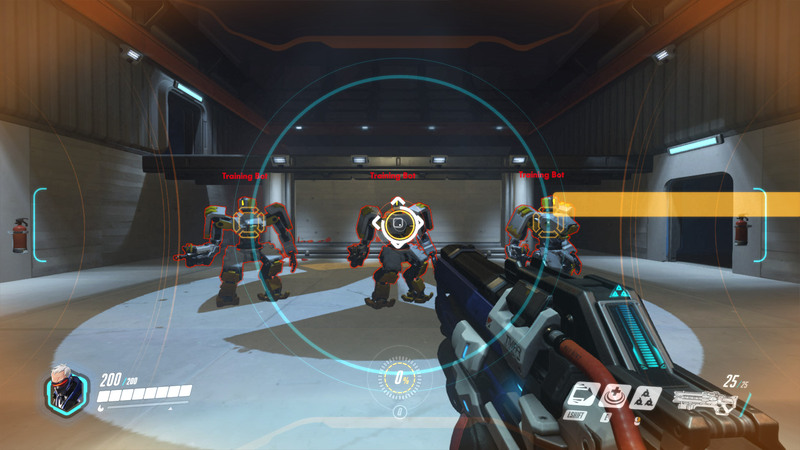 Another MOBA-esque feature of Overwatch is the inclusion of “tank” type characters in the game. These are characters that have big health pools and low damage output, but can protect other allies and draw enemy attention disrupting their formations. While they aren’t traditionally seen in FPS games, this type of character thrives in Overwatch and adds an extra layer of complexity in a straight shootout. Unlike MOBAs however, is the fact that Overwatch does not require the same type of time investment per game, though it’s not to say you’ll spend any less time playing. The 10 minute match time is just the right bite sized treat to keep players coming back for more, making “This is my last game” a phrase that will lose all meaning after saying it for the umpteenth time. It may take new players some time to feel comfortable and confident in Overwatch, especially if they are new to the FPS genre. Each character moves differently, shoots differently, and may have up to three different abilities not counting their ultimate. This depth makes learning any character a very rewarding experience, but learning only one character is not the meta of this game. Instead, this a game where team compositions matter and character fluidity is a necessary skill to win matches. Attacking and defending as a team are completely different scenarios, and require different tools to get the job done. There is no one character that can do it all, so players must be able to play at least a few characters per class to have the right answer for any given situation. 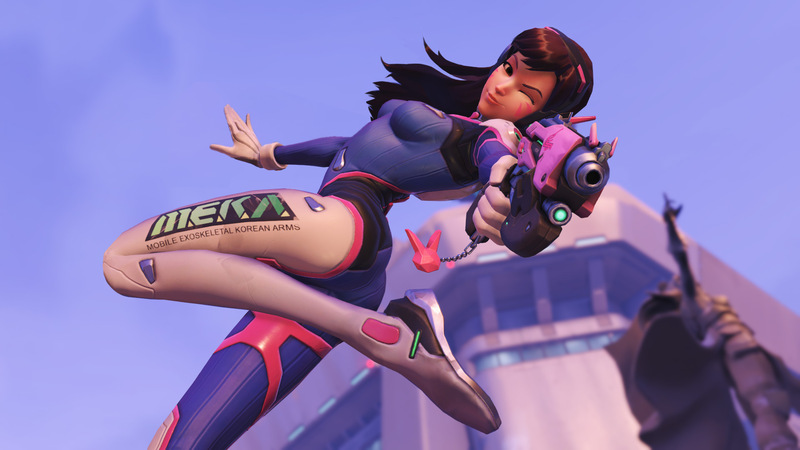 In a relatively short time, Overwatch has made a big splash. Blizzard has combined the genres of FPS and MOBA in a seamless way, with characters that are both diverse and memorable. I am personally not a heavy FPS player, but even I was drawn in to this incredibly unique experience. With each character playstyle being so different from the standard FPS archetype, I guarantee there is something in Overwatch for everyone. As of December 10th, the closed beta will be on a break until mid-late January. If you aren’t in the Beta already, make sure to sign up and give yourself a chance to get in once the action resumes! 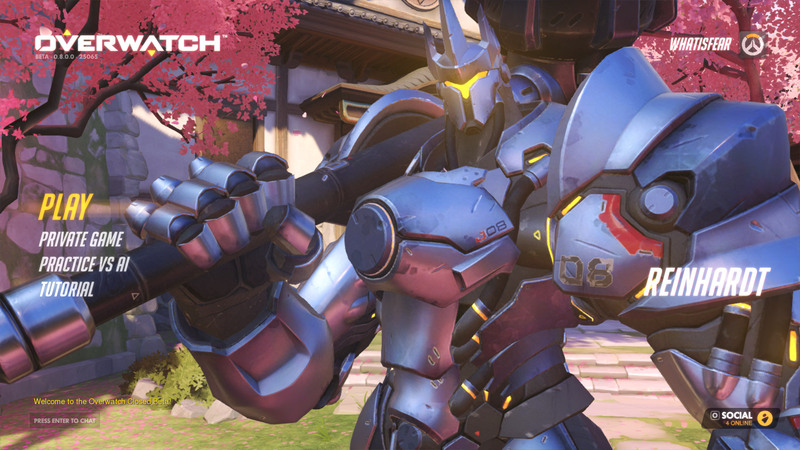 Overwatch is a must play for fans of Blizzard, FPS, and gaming enthusiasts period.